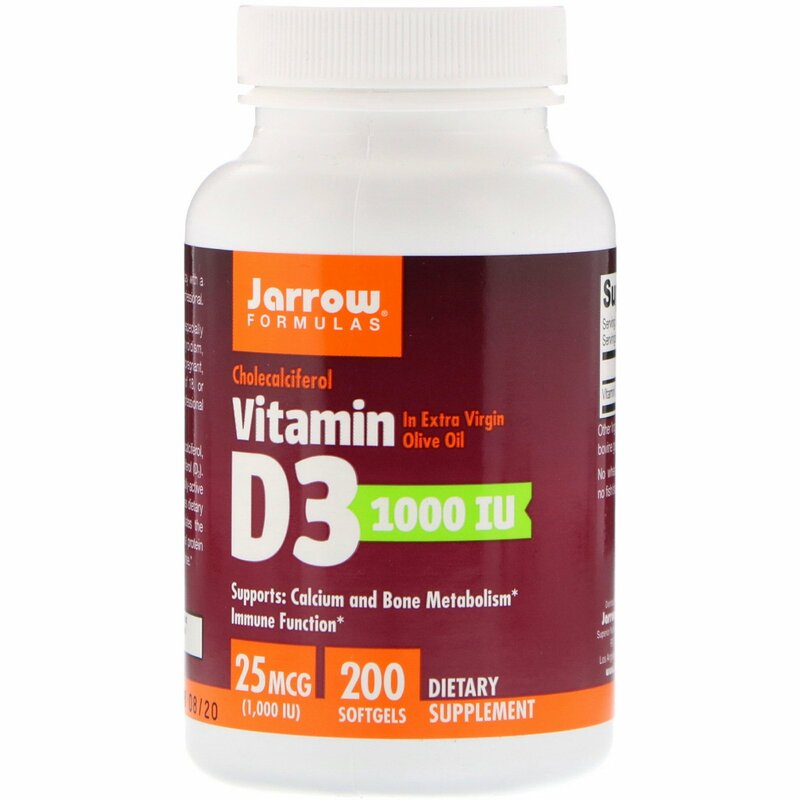 Jarrow Formulas Vitamin D3 Provides cholecalciferol, which is more biologically active than ergocalciferol (D2). Vitamin D3 is ultimately converted is to its hormonally-active form, calcitriol, in the kidney. Calcitriol enhances dietary calcium and phosphorous absorption, stimulates the synthesis of osteocalcin (an important structural protein in bone), and support a healthy immune response. Extra virgin olive oil; softgel consists of bovine gelatin, purified water and glycerin. 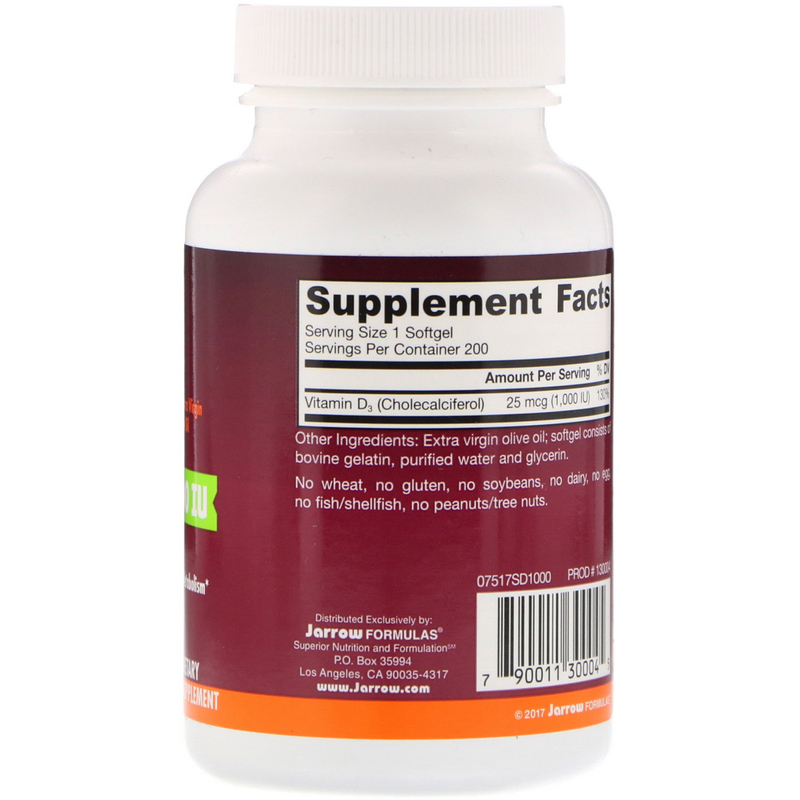 Note: If you have a medical condition (especially kidney stones or dysfunction, hyperparathyroidism, hypercalcemia, lymphoma, or sarcoidosis), are pregnant, lactating, or trying to conceive, under the age of 18, or taking medications, consult your healthcare professional before using this product.